Although paragliding has been around since the late 1970s, the sport only started gaining momentum in the Philippines in the last decade or so. 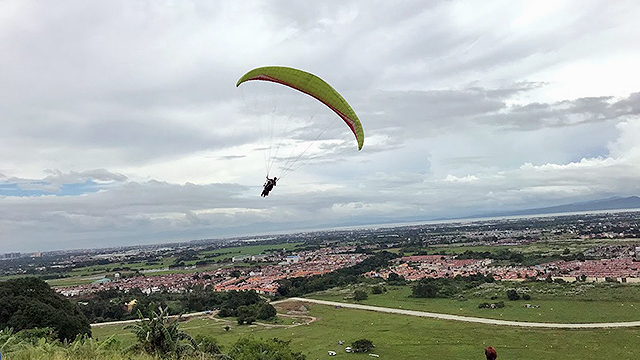 Rumi Sayeed, co-founder and director of Paragliding Philippines Inc., which runs a paragliding operation in Carmona, Cavite, says there were only two or three pilots when he and his group started flying there nine years ago. In 2014, Sayeed and his friends decided to legitimize and professionalize the sport. They coordinated with the Civil Aviation Authority of the Philippines and the local government of Cavite to apply for the necessary permits. They also developed a proper system of education and training courses. Although they were mostly foreigners when they started out, they hoped to be able to attract more Filipinos to get into the sport. A 15- to 20-minute flight costs from P3,500 to P4,000, which includes photos and a GoPro video of the experience, transportation from the pick-up point to the jump-off point, and even a designer shirt. Sayeed says the price is in line with international rates, which go from U.S. $50 to U.S. $60. Paragliding Philippines also offers a full course for those serious about becoming a paragliding pilot. It lasts a maximum of 10 days and costs about P35,000. Carmona is your nearest option when you want to try this extreme spot. Today, Sayeed says Paragliding Philippines has over 60 pilots, which is a mix of both men and women. 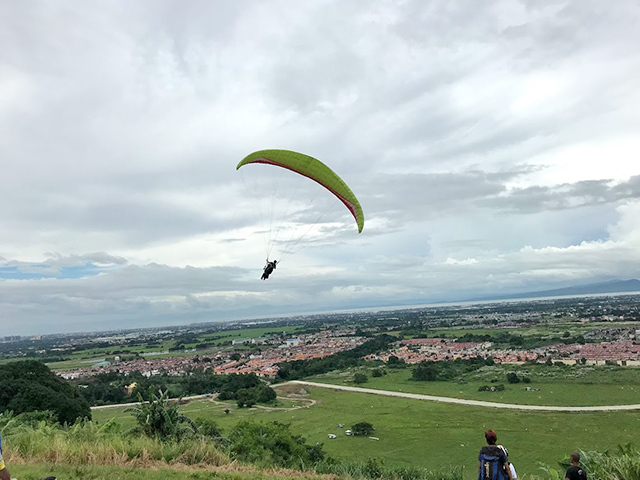 There are now also four other paragliding sites and communities in other areas of the Philippines—Maasim in Saranggani, Polomolok in South Cotabato, Cagayan De Oro City in Northern Mindanao and Binangonan in Rizal. Overall, he says, there are over 100 certified paragliding pilots in the country today. Sayeed says Paragliding Philippines also has a scholarship and advocacy program, which gives free lessons to five deserving underprivileged young people every year. It’s a way for the group to give back and help promote the sport even more. Paragliding season in Carmona is from mid-October until June. For more information, visit Paragliding Philippines' website.